You can use AFerry to book a Nova Star Cruises Ferry between the Canada and the USA, via the ports of Yarmouth Nova Scotia and Portland Maine. Nova Star Cruises use large cruise ferries, making the journey a relaxing, holiday-like experience in itself. 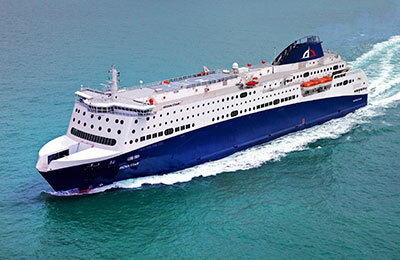 You can use AFerry to book Nova Star Cruises ferries to Yarmouth Nova Scotia and Portland Maine. For all Nova Star Cruises ferry routes and the latest prices and sailing times see below. Click on your ferry route for a detailed timetable with arrival and departure times. You are spoilt for choice when it comes to bars and restaurants on board with Nova Star Cruises. Enjoy fine dining in Currents, enjoy classic regional cuisine in Fathoms Buffet, or grab something quick and convenient from Piper's Pub alongside refreshing tap beers from craft breweries in Maine and Nova Scotia. When you're not having a taste of the fabulous food on offer, there's plenty to keep you entertained. On board there is a casino, a full service spa, a kids activity area and a retail store selling duty free goods and speciality products. The Nova Star made its maiden voyage in 2014. As a new vessel, it has the latest technology to allow for the carriage of up to 1215 passengers while being highly manoeuvrable to access to the harbour. The ship can cruise at a top speed of 21 knots. Nova Star Cruises re-established the Yarmouth Nova Scotia to Portland Maine route in 2014, providing a daily round trip service from May to November. 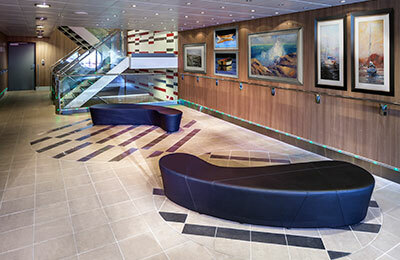 The company is all about providing a unique experience on a state-of-the-art vessel, the Nova Star. How long before departure should I arrive for Nova Star Cruises?